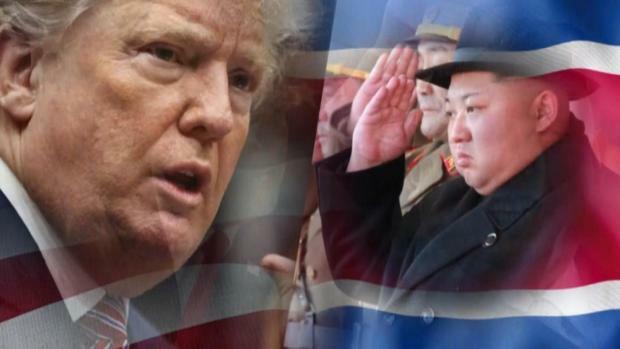 Cathryn Cluver Ashbrook of Harvard Kennedy School, the executive director of "The Future of Diplomacy Project," talks about Donald Trump and North Korea. President Donald Trump labored with South Korea's Moon Jae-in Tuesday to keep the highly anticipated U.S. summit with North Korea on track after Trump abruptly cast doubt that the June 12 meeting would come off. Setting the stakes sky high, Moon said. "The fate and the future of the Korean Peninsula hinge" on the meeting. The summit, planned for Singapore, offers a historic chance for peace on the peninsula — but also the risk of an epic diplomatic failure that would allow the North to revive and advance its nuclear weapons program. Trump's newfound hesitation appeared to reflect recent setbacks in efforts to bring about reconciliation between the two Koreas, as well as concern whether the self-proclaimed dealmaker can deliver a nuclear accord with the North's Kim Jong Un. In an extraordinary public airing of growing uncertainty, Trump said "there's a very substantial chance" the meeting won't happen as scheduled. North Korea is threatening to walk away from next month's highly anticipated historic summit with the United States, saying it has no interest in giving up nuclear weapons without getting something in return. The regime is pointing to routine military drills between the U.S. and South Korea as a "provocative military racket." Seated in the Oval Office with Moon, Trump said Kim had not met unspecified "conditions" for the summit. 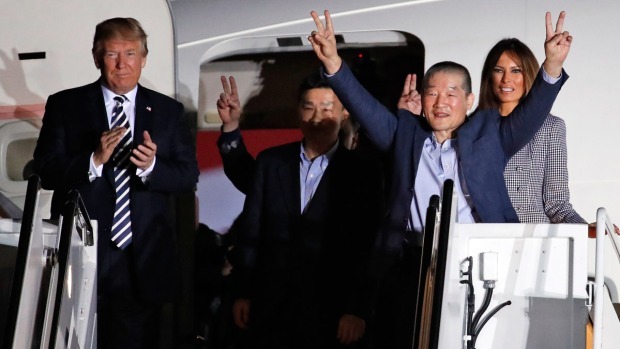 However, the president also said he believed Kim was "serious" about negotiations, and Moon expressed "every confidence" in Trump's ability to hold the summit and bring about peace. "I have no doubt that you will be able to ... accomplish a historic feat that no one had been able to achieve in the decades past," Moon said. U.S. officials said preparations for the summit were still underway despite recent pessimism — and privately suggested there would be additional public maneuvering as both sides seek to maximize their leverage. Both parties to the talks are invested in holding the meeting, with Kim seeing an opportunity for international legitimacy and Trump the prospect of securing Korean stability — and perhaps a Nobel Peace Prize. "This could be something that comes right to the end and doesn't happen," said Secretary of State Mike Pompeo. But he added that as of now, "we're driving on." South Korea's national security adviser put the chance of the summit taking place at 99.9 percent. Trump suggested that it could be delayed rather than canceled: "It may not work out for June 12, but there is a good chance that we'll have the meeting." He did not detail the conditions he had laid out for Kim but said if they aren't met, "we won't have the meeting." Press Secretary Sarah Sanders said Trump was referring to a commitment to seriously discuss denuclearization. Skepticism about the North's intentions have mounted in recent weeks after Kim's government pulled out of planned peace talks with the South last week, objecting to long-scheduled joint military exercises between U.S. and South Korean forces. The North also threatened to abandon the planned Trump-Kim meeting over U.S. insistence on rapidly denuclearizing the peninsula, issuing a harshly worded statement that the White House dismissed as a negotiating ploy. Moon sought to project optimism after his meeting with Trump. 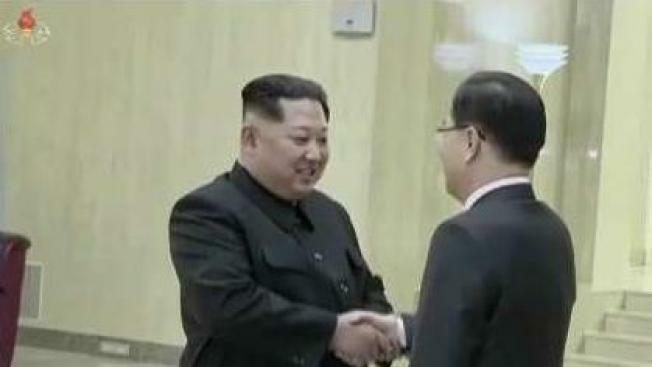 His spokesman, Yoon Young-chan, told reporters that the two leaders agreed to do their best to ensure the meeting happens on June 12. Yoon said Moon told Trump that the North Korean leader was strongly committed to the meeting and the leaders agreed that any assistance to North Korea would come after complete denuclearization. High-level talks between the North and South would likely happen after June 25. Trump expressed suspicion that the North's recent aggressive barbs were influenced by Kim's unannounced trip to China two weeks ago — his second in as many months. Trump said he'd noticed "a little change" in Kim's attitude after the trip. "I don't like that," he said. The president added that he hoped Chinese President Xi Jinping was actually committed to the goal of denuclearizing the Korean peninsula, calling him a "world-class poker player." Trump said he was displeased by China's softening of border enforcement measures against North Korea. Trump encouraged Kim to focus on the opportunities offered by the meeting and to make a deal to abandon his nuclear program, pledging not only to guarantee Kim's personal security but also predicting an economic revitalization for the North. "I will guarantee his safety, yes," Trump said, noting that promise was conditioned on an agreement to complete, verifiable and irreversible denuclearization. 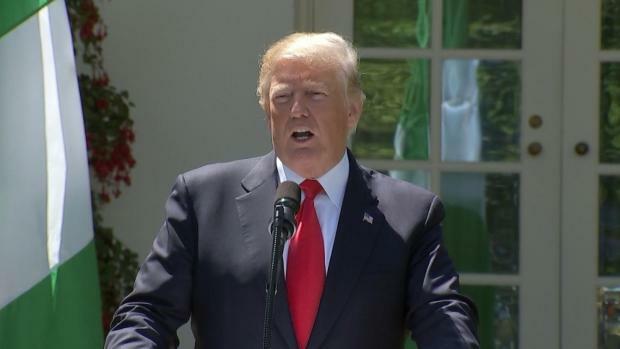 Trump said if such an agreement is reached, China, Japan and South Korea would invest large sums to "make North Korea great." In North Korea itself, foreign journalists arrived to watch the dismantling of a nuclear test site this week in a significant concession before the Trump talks. However, fresh questions were raised Tuesday about the North's goals and motives, with the disclosure of a Pentagon report to Congress saying that nuclear weapons are central to North Korea's strategic goal of ensuring the perpetual rule of the Kim family dynasty. 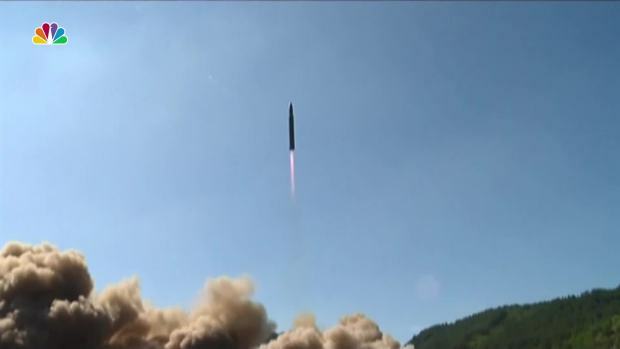 The report on North Korea's military capabilities was based on an assessment of developments in 2017 and was provided to Congress in April. It was posted online by an anti-secrecy group. Ahead of the North Korea meeting, the president has been almost singularly focused on the pageantry of the summit —including the suspenseful roll-out of details, senior administration officials said. The White House turned heads this week with the release of a commemorative "challenge coin" for the summit, featuring profile engravings of Trump and Kim for the "peace talks." The White House said the coins were prepared by the White House Communications Agency, a military unit supporting the president's trip, and not the West Wing. Trump has not been deeply engaged in briefing materials on North Korea's nuclear program, according to three people with knowledge of the White House efforts. They were not authorized to speak publicly. Trump said the long-term status of the peninsula will be up to the North and South, and that the immediate goal for his summit is "two successful Koreas." He added that, "Ultimately, maybe someday in the future" you'll "go back to one Korea." The two Koreas both seek reunification of the divided Korean Peninsula on their own terms. But any move toward reunification would first likely require a peace settlement to formally end the 1950-53 Korean War, which the two Koreas say they are aiming for. Associated Press writer Ken Thomas contributed.